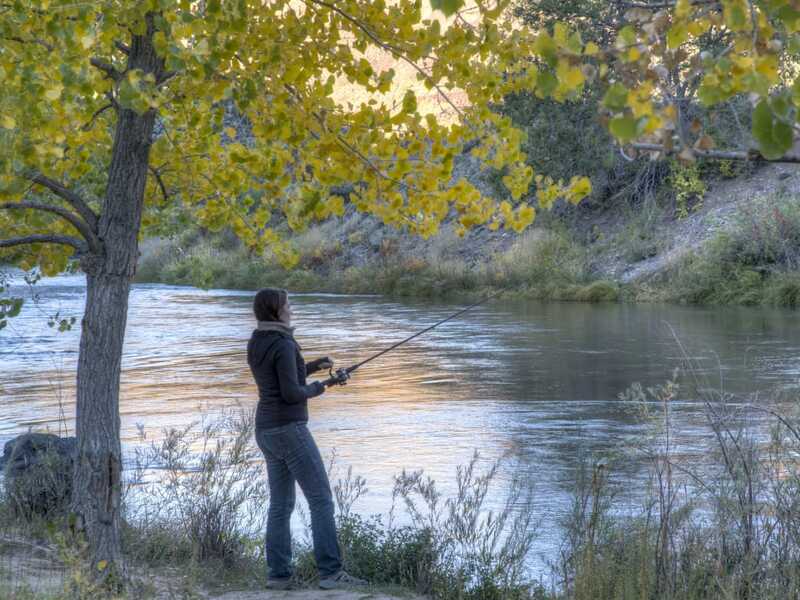 Anglers love the San Luis Valley. The Rio Grande—meaning, "Big River" in Spanish—is home to the longest stretch of the state’s Gold Medal Water. 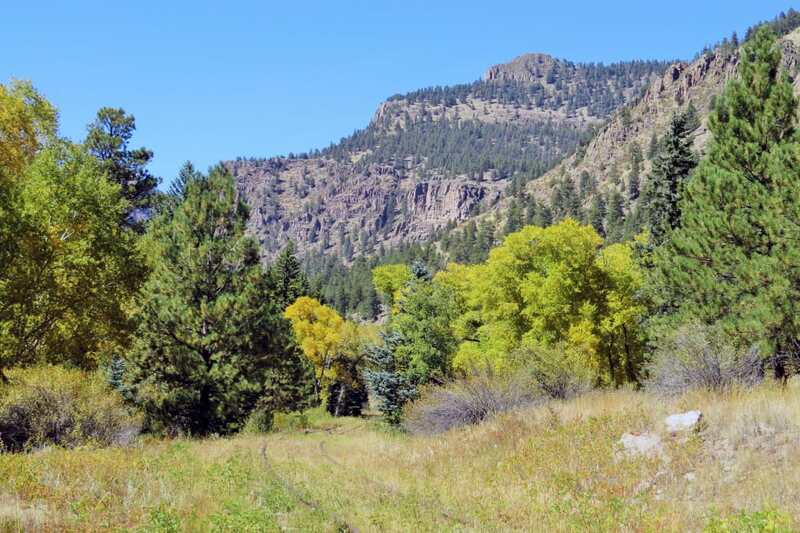 The Colorado Wildlife Commission designates Gold Medal habitats due to their top-notch, cold water, which is a breeding ground for large trout. In these sections of water, the chances of a tug are prime. At least one-dozen high-quality,14-inch long trout occupy any given acre. Rio Bravo parallels Highway 160, so riverside access is relatively easy. A popular section for float fishing lies 30 miles north of Alamosa, between South Fork and Del Norte. A couple of stream gauges along the Rio Grande, which are maintained by the Colorado Water Resources division, include the station at thirty mile bridge, near Creede, and another closer to Del Norte. To find out what the fish are feeding on, you can contact local fly-fishing guides at Wolf Creek Anglers Fly Shop or Rio Outfitters in South Fork, or the Rio Grande Angler in Creede. Palisade campground overlooks the Rio Grande River, has 12 sites, and is the only campground in the canyon between Creede and South Fork. Plus, it’s right next to Highway 149, so it’s really accessible. Occasionally, a scenic railroad excursion passes by on the active railroad tracks that run through the campground. Another campsite in the Rio Grande National Forest is Marshall Park, which is near the town of Creede and offers convenient access to the river for boaters. Right on the banks of the Rio Grande River is Rio Grande campground, where seven sites speckle a grassy meadow with picnic tables and fireplace rings. Avid kayakers and rafters typically paddle the mighty Rio from May to June, when the spring’s runoff is at its peak. North of Creede, the whitewater difficulty can rise to Class III-IV, in a section known as the Upper Box. Downriver, paddlers can expect Class I-II rapids in the next two sections of river: Oxbow and Upper Rio Grande River. Then, from the area of Creede, the Lower Rio Grande features Class II-III rapids. Once the water reaches South Fork it mellows out as it winds its way toward Del Norte and onto the valley floor. On the Rio Grande, self-guided boaters are not required by the National Forest to buy a permit or fee. If boaters prefer a guide, or need an on-the-ground resource to help plan their trip, 8200 Mountain Sports, based in South Fork, rents rafts. And the shop's Mountain Man Rafting crew offers guided river raft trips by the half day. Many locals and valley visitors love to float sections of the Rio Grande near Alamosa. On easygoing stretches of the river north and south of town, you’ll have the freedom to use your camera or binoculars to spy a wide range of birds, including Great Horned Owls. Toward Del Norte, the smooth waters of the Rio Grande are idyllic for casual float trips and new paddlers alike, offering calm conditions for wildlife viewing, landscape photography, relaxing with your feet up, or fly fishing—folks can hook a sizable catch with little effort. Get ready to hook some brown trout! One popular float choice—among many—is from the Lower Coller put-in, near Masonic Park, to the Lower Alpine take-out. This slice of the Rio Grande slips by slopes covered in aspens and spruce, cottonwoods, cabins and the quaint town of South Fork. Because this section of the river weaves through pieces of private land, you should avoid the banks and river bottoms or ask for permission to wade or set out a picnic. Don’t be surprised if you see college students stand-up paddleboarding on the Rio Grande in and around Alamosa. In 2016, Adams State University invested in paddleboards and mountain bikes for its Adventure Program to help strengthen recreation along the river. More broadly, the Weekends on the Rio program (June through August) includes community stand-up paddleboard classes that are great for families and beginners. South of Alamosa, the Rio Grande River nourishes the Alamosa National Wildlife Refuge, a mix of wetland and desert habitats that are a rich breeding ground for migratory birds. 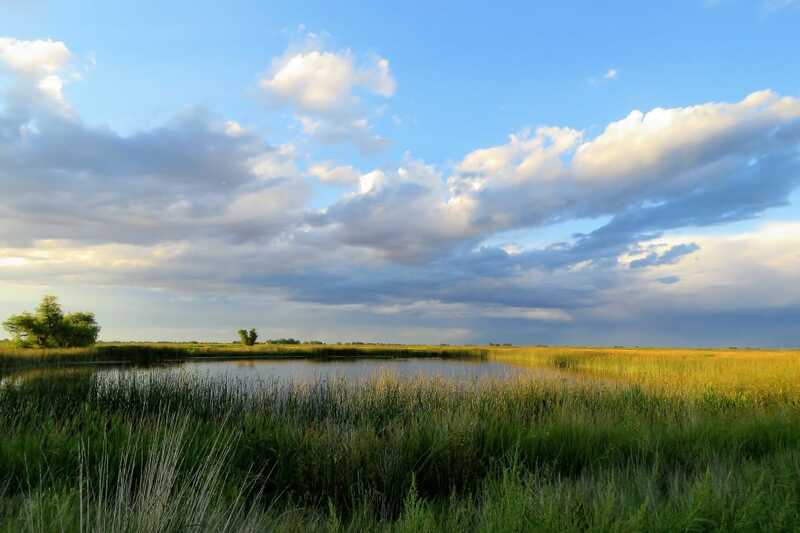 More than 200 species of birds and other wildlife can be spotted in the 11,200-acre refuge. Birders should keep their binoculars on hand for songbirds, water birds, waterfowl, and raptors. The Rio Grande’s banks attract mallards, pintails, teal, Canada geese, American avocets, killdeer, white-faced ibis, egrets, and herons. Bird watchers should also experience the biannual sandhill crane migration. Up to 27,000 of the birds move through the San Luis Valley in mid-March and again mid-October. Near the Rio Grande River, trail runners can check out Pronghorn Loop. The 9-mile trail follows singletrack through rock formations and high desert meadows with stunning views of the Sangre de Cristo mountains. Trail running, camping, bird watching, fishing, floating, and whitewater paddling are only a handful of the boundless recreational options along the spectacular Rio Grande River. Written by Thomas Shields for RootsRated Media in partnership with Alamosa CVB.